My book Welcome To My World which is available on Amazon and Kindle is now available at the following libraries. and Oberlin's Conservatory of Music. Steve, Sandy and I were asked to play at the Charismatic Conference. Speakers at the conference included Father Larry Richards and Mark Nemo, a wonderful speaker from Keyna who now resides in Chicago. Mark performed a skit that I will never forget. He brought three participants to the stage. Each was given a big balloon by the actor who was playing the part of God. One participant was afraid and sat on the balloon, another broke it in anger, but the third participant was grateful. He played with the balloon joyfully and began to throw it to others in the audience with complete abandonment and hillarious joy; the balloon was then thrown back to him. Of coure the balloon bounced in several weird ways which made it even more colorful. The message; use your gifts, be thankful and share. I have written the parts for a mass, and St Gabriel in Concord Ohio is using it for all weekend masses until Advent. It's part of a year long celebration commemorating their 50th anniversary as a parish.What an honor.I originally had titled the music the Mass of The Guardian Angel, but they asked if it could be called Mass of St Gabriel. 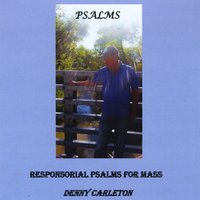 You can hear sound samples and a lead sheet of the Mass of St Gabriel on my website www.dennycarleton.com. Click on the link mass of St Gabriel .It's a free download of the lead sheet and music and everyone has copyright permission to use it.